I'm doing another gig at Ort on Wednesday August 12th. 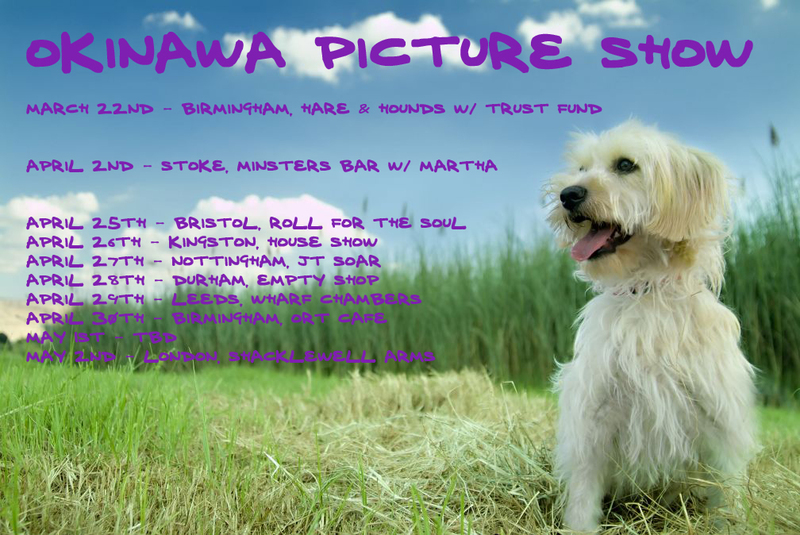 It's The Middle Ones, T-Shirt Weather and Okinawa Picture Show! did Jorah pass on the stone face disease to Danny when he took her hand, or is she immune? The EP will be out on tape really soon and you'll be able to buy it from us on our tour (have a word with the dog for the inside scoop). They were very, very good last night. Our first full band EP will be for sale on tape in a few weeks but for now you can listen to it for free on our Soundcloud! Their weekly circulation is around 13,500, which is the same as the Holte End at Villa Park. Carys wrote: I have a Raspberry Pi which I have never even taken out of the box and, let's face it, I'm never going to. Does anyone want it? If so, let me know and I'll whack it in the post. I'd love to take it off your hands if that's ok? Trust Fund are my favourite live band. My only knowledge of Prolapse is that Trev has been coordinating a tribute album for the last 19 years.